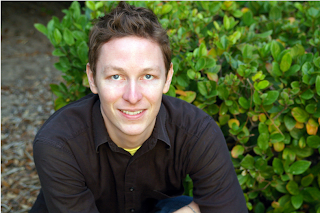 ELIOT SCHREFER is a resident of New York City and a graduate of Harvard College. A contributor to The Huffington Post and a reviewer for USAToday, Eliot has been profiled in Newsweek, New York Magazine, theNew York Post, WWD, and NPR's "Leonard Lopate Show." He was selected as one of the 2007 "Out 100," and as a fellow to the Sewanee Writers' Conference. His first novel, Glamorous Disasters (Simon & Schuster), became an international bestseller. His second novel,The New Kid (Simon & Schuster), was nominated for the Lambda Literary Award. Abby Goodwin has always covered for her sister. Maya's screw ups started out ordinary enough: Broken curfews. Failed classes. Hanging out with the wrong crowd. But now Maya's been accused of murder. And Abby's not sure she'll be able to cover for her anymore. Abby's certain of Maya's innocence--but she's the only one. With the police closing in, Abby helps Maya escape...and then starts investigating, hoping to clear her sister's name. What she finds, though, shows that you can't trust anyone - not even the people you think you know. From the author of The School for Dangerous Girls comes a page-turning thriller about the things we do for family--and the limits we can reach. This book first caught my attention when I attend a panel discussion during The NYC Teen Author Festival in March where the author, Mr. Schrefer was a panelist. The excerpt he read of The Deadly Sister was quite gripping. I wrote down the name of the book and made a note to look it up later. A few weeks later, much to my surprise I received The Deadly Sister in the mail from Scholastic and I was pretty excited to read it. And now that I have, boy did I enjoy it! The Deadly Sister is one those books that when you’re done reading them , you need a minute to process all that had happened and what you take away from the book is not just momentary but rather long-lasting. It stays with you at weird times of the day and night and makes you question some of your own actions and makes you rather pensive. The Deadly Sister is classified under Mysteries & Detective Stories and Family/Siblings according to Scholastic and there is not one page in this book that does not make you stop and analyze YOURSELF and your family/siblings and your behavior/attitude towards them. TDS was one horrendous rollercoaster ride, at the end of which the reader is left aghast. I won’t go too much into detail but until pg 250 the reader doesn’t have ANY inkling of what’s coming next. The Deadly Sister is a fast paced, keeping the reader on the edge of their seat kind of book. I’ve always liked a good mystery and The Deadly Sister is definitely one I would pick up again. Schrefer portrays the damaged relationship between the Goodwin family in way that makes it believable AND relatable. The relationship between the two sisters- the protector and the protectee is complicated albeit one that many teens can relate to. The first page sets the tone for the novel where Abby is firmly set into her role of Maya’s protector. The book follows a chain of intricately intertwined events that at the end culminate into a shocking discovery that will leave the readers minds reeling but at the same time absolutely and thoroughly entertained. What I especially liked about this book: Cheyenne, the best friend. Despite her flaws, she stood by Abby. Not to say that Cheyenne wasn’t flawed either, but she was definitely the better person of the two. Readers will enjoy this book immensely as Schrefer’s writing style is very simplistic not throwing too many tricks into the story. Although sometimes things jump out at you without the reader realizing it was coming. This is the first book I’ve read by Mr. Schrefer although I have to say I am definitely looking forward to reading his backlist. GIVEAWAY! I'm giving away my copy of The Deadly Sister. To enter fill out this from HERE. Wow, this book sounds awesome. I like a good mystery. I like that you are having a contest too.